Sciblogs | Predator Free 2050: What are the target species? Predator Free 2050: What are the target species? Answer: It’s not clear. Ambiguity over target species is counterproductive, both to the goal itself, and to the public’s ability to understand and monitor progress towards it. On 26 July 2016 the then National Government announced a plan to eradicate all of New Zealand’s rats, stoats and possums by 2050. The decision – including the species to be targeted – was recorded in a cabinet minute earlier that month. Background papers show that a range of species were considered for eradication, including all New Zealand’s mustelids (stoats, ferrets, and weasels) and rodents (three species of rats, and mice). However, the final recommendation taken to cabinet was to limit eradication to stoats, rats and possums. This has duly been reflected in all subsequent Government communications on the Predator Free 2050 initiative. At the time of the public announcement, the Department of Conservation (DOC), the lead agency for the policy, issued an information sheet identifying the target species. Further information on the target species was provided on DOC’s website (e.g. for stoats), alongside recommendations on how to control them. Seems pretty cut and dry, right? Unfortunately not. In fact, it took little time for the target species to become murky. Former Prime Minister John Key immediately muddied the waters when he vacillated on cats, reportedly reassuring that ‘in terms of the domestic moggy, they have plenty of years in front of the fire’ but, ‘if you’re asking about feral cats…then their time is limited’. Since then, Predator Free 2050 has become something of a Rorschach or ‘inkblot’ test – open, that is, to multiple interpretations. This has been especially evident in media commentary on the initiative. Interpretations of the inkblot to right, for example, have been various. For the BBC, this image represented a goal to eradicate either ‘all non-native predators’ or ‘all invasive predators’ from New Zealand (‘invasive’ and ‘non-native’ are not the same thing). But elsewhere they also claimed to see stoats, rats and possums – with ferrets, weasels, mice and hedgehogs ‘in the government’s cross-hairs’ too. On perceiving the same inkblot, The Atlantic could at first see a plan to ‘eradicate all invasive mammal predators’ but later felt that it was just rats, stoats and possums. In contrast, Australian Geographic initially made out rats, stoats and possums, but later a plan ‘to wipe out all non-native predators’. Locally, Stuff supposed that the image could be interpreted as ‘a target to eradicate all pests that threaten New Zealand’s native birds’, but the New Zealand Herald thought it might just be ‘mice and rats, stoats, weasels, ferrets or possums’. It’s not just popular media who take such creative license with Predator Free 2050. In fact, on subjection to the above image, scientists and industry professionals also seem to read a number of different futures in the tealeaves. The authors of an article in Nature, for example, claim to see ‘rats, possums, stoats and other invasive predators’ where the authors of an article in Ecological Management & Restoration see only possums, mustelids, rats and feral cats. Different again is a report for the Ministry for the Environment, which claims – perhaps most preposterously – to see ‘all introduced species’ as the target. Where a paper in the Journal of Applied Computing Information and Technology sees ‘all pests that threaten New Zealand native birds’, another in Rethinking Ecology is more specific, seeing the eradication of ‘introduced mammalian pests, including possums’ and ‘an array of rodents and mustelids’ as well. Part of the confusion seems to stem from the overlap with Predator Free New Zealand, a non-governmental organisation that preceded Predator Free 2050 by about three years. According to one scientific paper, Predator Free New Zealand targets three more introduced predators than Predator Free 2050 (including ferrets, weasels, and mice). Although, Predator Free New Zealand’s own website contradicts this, suggesting that it includes only two additional species (ferrets and weasels). Time for the Government to step in and clear things up you think? Yes, maybe. But, then again, are they any clearer on the target species than the others? Well, on subjecting Government to their own Predator Free 2050 inkblot, the following interpretation seems to emerge. According to recent updates on DOC’s website (and commentary in a discussion guide) they continue to discern only rats, possums and stoats. But, significantly, their reading of ‘stoats’ has changed. While previously ‘stoats’ meant stoats, now stoats ‘may be interpreted as all three of the mustelid species in New Zealand’. This seems to be a unique and original interpretation of ‘stoats’. The standard term for New Zealand’s three mustelid species is, perhaps not surprisingly, ‘mustelids’. This is the term that has in fact invariably been used by DOC themselves (see for example, here, here and here). Their revised proposal is at odds even with their own definition of stoats on their Predator Free 2050 web page. It also must come as news to the Predator Free New Zealand Trust who describe Predator Free 2050’s stoats as stoats, and virtually all popular media who define stoats as stoats. NZ Geographic, for example, was very clear that Predator Free 2050’s focus was ‘rats, possums and stoats (the official targets, omitting mice, weasels, ferrets and feral cats)’. Maybe that’s why Government suggest only that stoats ‘may be interpreted’ as a synonym for mustelids (i.e., it’s up to you whether you want to accept it or not). What is the problem with all this ambiguity anyway you may ask? Maybe that’s what makes the goal so ambitious…? And is it wrong, is it so horrible, for one person to see a stoat where another sees a weasel, for a cat to be seen as a dog, for a mouse to appear as a rat? After all, don’t we just want to get rid of the mammal predators? Unfortunately that’s not how eradication works – certainly not on a national-level and with multiple individuals, groups and agencies working on it. Eradication works only when all parties have absolute clarity on the focus species. With the exception of dumb luck (like maybe rats contract some inadvertent and fatal disease), you can’t just stumble onto eradication success. The other thing is, of course, we don’t want to get rid of all mammal predators. Species like cats, for example, have been deliberately excluded – not for conservation reasons – but for social and political reasons. People don’t want them on the list. It’s critical then that the target species are concretely defined, not open to definitional whimsy. Virtually anything ‘may be interpreted’ as something else, should someone choose to do so. But is such a strong social constructionist interpretation of reality appropriate for government policy? I’d suggest not, and certainly not if we want to be able to hold Government to account on it. Let me be clear here: there is nothing inherently wrong with changing the specifics of a policy, but it must be crystal clear when important changes are made, especially when it concerns a national eradication initiative of enormous expense and significance. It can’t be maybe this species or maybe that. Clarity on the focus species is surely crucial to turning the existing Predator Free 2050 rhetoric and grandstanding into a definable reality. With the exception of one of the four interim goals for 2025, which was to eradicate all mammalian predators from New Zealand’s offshore islands. In the cabinet minute this recommendation was refined from ‘offshore islands’ to ‘island nature reserves’. The implications of that are discussed in this paper. Featured image: ‘Unknown animal (may be interpreted as a horse or an elephant)’. Image by the author. A while back there was mention that the nz stoat was different to the stoats from Britain, from whence it came. The nz stoat contains much more gene diversity than its source population because the British stoat almost died out in the 1960s. Analysis showed that a few as 50 stoats survived after myxamatosis was released in England to control rabbits. Based on the whole ethos of “preserving: biodiversity at all costs doesn’t that make the NZ stoat all the more precious? Some how not. There doesn’t even seem to be any moves to export stoats back to the source. Why ? Perhaps because to see stoats in that light, as equally worthy to any other animal, opens a door too far. As you have shown, once again, Jamie the whole pfnz 2050 thing easily ties itself in granny knots. Thus demonstrating what a nonsense it is. Stoats in the UK are not endangered, apparently. All I see here is drawn-out, unimpressive nitpicking. Conservationists know what they want to get rid of. The only real ambiguity lies in the future of cats, and the issue would be non-existent if cats weren’t commonly kept as pets. All of the mustelids are similar, as are all of the rodents. There are three targeted mustelid species, and four targeted rodent species. Not everyone has time to list all seven of them as distinct species, in addition to possums, hedgehogs, and ‘maybe’ cats. On top of that, not many people care about how many species of mustelids and rodents there are, either. And why should they? They’re two groups of vermin whose members have blatant close evolutionary relationships to each other. Obviously, this article would not exist if everyone of importance who’s ever made a statement about the Predator-Free idea said that it targets ‘rodents, mustelids, possums, hedgehogs, and possibly cats’. Do you intend to nitpick the fact that New Zealand’s ‘ferrets’ are probably actually ferret-polecat hybrids, too? Andy, stoats are regularly persecuted in the UK for killing poultry. Additionally, the species has an enormous natural distribution outside of the UK. Three years down the track of the original intention there are now 4000 species on the unwanted introduced species list of Auckland Council. (Including plants) So the whole situation has gone rather bizarre. On the east coast of the South Island birds like black backed gulls (natives!) are now in the cross-hairs and elsewhere weka are deemed undesirable enough that whole islands can be aerially poisoned with Brodifacoum leading to a complete cull of the weka population. It is time to take a break and have a nationwide discussion about exactly what people want our wildlife to look like, because a very small group of fanatical poisoners has decided for all of us. No, your comment is the red herring here Dave. You either didn’t read the article or deliberately overlook my analysis of that reference. Perhaps you could provide some context for this. Because I suspect there’s an underlying reason for that decision. “whole islands can be aerially poisoned” How do you poison an island? This is very emotive language Christa. Not what one would expect from an academic. No it is not emotive, it is the basis of DoC aerial eradication programs and why NZers are the world leaders (specialists) in aerial poisoning. Sunny Barfoot, “whole islands can be aerially poisoned”… and are. Where is the emotive language please? Aerial poison dispersion will easily ‘poison a whole island’…FACT, not emotion Sunny! 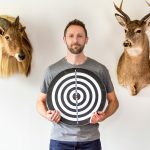 So Shoot Me is the blog of Dr Jamie Steer who is interested in exploring and challenging current attitudes to biodiversity and conservation in New Zealand.